New Delhi: Rajkamal Prakashan Samuh celebrated its 70th Foundation Day on 28th February, 2019, in a unique manner with a talk termed as “Voice of Future” at India International center in New Delhi. A talk that would reflects the thoughts about promising future actions in a voracious and powerful manner. 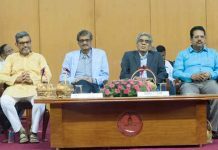 In the light of 70th Foundation Day celebration, Rajkamal Prakashan also proposed an optimistic platform “Voice of Future” to mark the occasion. 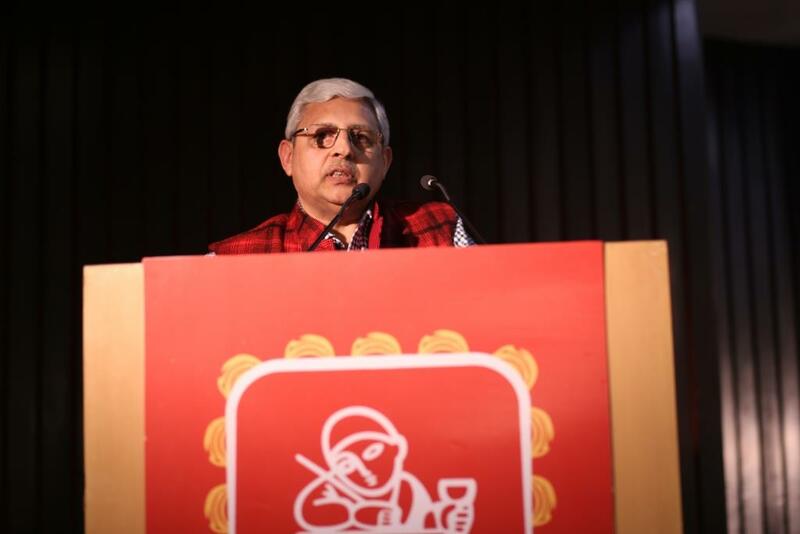 For the next five years, Rajkamal Prakashan will create the ‘Voice of Future’ platform for cross-discussion and brainstorming on various topics related to books, writers, and society at large and bridge the gap between these. So as to together find new possibilities and direction. Keeping the “Voice of Future” in mind the talk was addressed by Vineet kumar, Anuj Lugun, Sayema, Anil Ahuja, Anita Anand, Gaurav Solanki and Anil Yadav on various different topics. 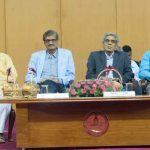 Satyanand Nirupam Editorial director Rajkamal Prakashan said “Rajkamal’s 70-year journey is a history of the support of writers and readers with a publisher. It has been possible only with a conscious sense of continuous quality and transparency. In the coming year, we will give proper place; appropriate respect to literatures of Hindi language, without them, Hindi cannot go far away”. R j Sayema host of Purani Jeans’ show on Radio Mirchi, 98.3 talking on the issue of Citizenship of Languages said “One should respect its language and culture then only we will progress, become modern and by doing so we will be able to provide true justice to our language”. She further said congratulating Rajkamal on completing 70 years that “It should consider these 70 years as the early days as there is still a long way to go”. Anil Kumar Yadav author of a nomadic nature, an ardent traveller and Independent Journalist, talking on the topic The life we don’t live and future presumptions said “In the Hindi we write these days, do we also think in Hindi, or dream in that same language? If we will not think in our own language, we will not dream of how future tones will be born. For the voice of the future, the foundation of the present is strong and it is very necessary”. Anuj Lugun a poet by heart and an active voice for Adivasi’s talking on Adivasi Literature – Directions and Possibilities said ““There is a long history of writing tribal literature, it is being written in its native languages for a very long time. 21st Century tribal literature is coming out in front of us as a consultation. Today the tribal community is expressing cultural interfering. Firstly, in literature where romantic portrayals of the tribal society were now, it is now struggling for its identity and existence by entering into reality. It is presenting criticism of today’s alleged civilization, raising questions on their life-style. This writing of tribal literature should be seen in the larger Indian and global context”. Anil Ahuja a designer for the newspapers, media organisations and publishing houses talking on the topic of Visual Explosion in our present times and Future of Cover Design said “The new phase of the publishing world is technically spectacular, so in this sense, the publication of the world is far behind from the technical vision of the western publication. And if the Indian publishing world is to be developed in the coming time, then the new dimensions of the publishing world will also have to be developed”. Gaurav Solanki an Indian Fiction writer, poet, screenwriter and lyricist talking on Story, Medium and its Future said “The role of artificial intelligence can be very important and interesting in future fiction writing. It can become a companion to writers and even the opponent. And whosoever can bring such changes in the way of writing, and then the future bestseller or the books which are appreciated in the past will be completely different from today”.